back again 2nd time in 9 months. salem beach house gives peace to the soul. 100% love it here this is not just a place to sleep; its a place to enjoy!!! The firepot is a great addition. "phenomenal location. So beautiful & peaceful. Loved watching the tide go in and out. Observing the wildlife. Thankyou so much for sharing your little hideaway. Beachhouse was perfect "
Published Comment: 'Comfortable cabin, quiet and secluded. Great place to relax and refresh. " lovely and peaceful. needed more time of course. top spot and comfy accommodation. thanks for a great stay" beautiful peaceful location; kids enjoyed hunting for crabs; enjoyed golf; a thankyou for supplying the games and puzzles for the kids; can thoroughly recommend and would love to come back"
"My Elderly Aunt & I stayed for 4 days & enjoyed it so much we didnt want to leave! The most beautiful sun rises & calm bay.... heaven :)"
Well I'm back now in muggy Brisbane & missing the weather in TAS. The beach house retains warmth really well from the afternoon sun too. One magpie in particular became a bit of a mate (very tame) & he/she sat on the railing for hours looking inside. I must admit your beach house ticked all the boxes! 2 nights was definately too short & I now regret not staying there 5 (or more). My 3 nights at Old Oakwood Port Arthur was nice enough, but your property had so much more to offer. A guest mentioned they lost a golf ball or 2....I found 2 on a walk & put them with the others. Anyway, thanks for my great stay. I get down to TAS as much as I can & like booking in different regions. We’ve been coming to Tasmania since 1969 and have explored many corners on many holidays since then. This is the first real visit to the Tasman peninsula. We’ve been very pleased to be able to book back in to Salem Bay. We intend to come back. Have loved the walks and the scenery and hopefully the good trip tomorrow on our way home. We’ve seen the Coal mine, loved Fish and chips at the coast, and will go on the boat into the Southern Ocean with the local crowd. A salubrious little cottage in a brilliant location. Thoroughly enjoyed exploring this end of the peninsula and playing “Bear hunt” in the coal mines. Tristan,Emily and Jasper. What a way to finish our week in Tassie!We had everything we needed to make us feel at home.The only problem was we didnt have time for low tide beach golf! "Situated in a great spot, very private and cosy." "Salem Bay Beach House is in a lovely spot, with the beach at the bottom of the garden. The bird life is plentiful on the sand flats at low tide and the water is lovely and clear and safe for swimming..."
"Second stay at Salem Bay, experience just as good as the first. Shallow Bay below house great for kids (safe and keeps them fully occupied)." "My partner i had a loverly relaxing stay, weather was great fishing also pretty good & going straight out form the accommodation was brilliant. Accommodation was cosy, neat & very tidy perfect for four people. Great weekend, only 20 minutes to anywhere on the peninsula." Best Value Beach Cottage in Tasmania. Gateway to Port Arthur Area! Great place to view the Aurora looking south over the water. Sleeps 4 people, 2 bedrooms, kitchenette, lounge, dining, bathroom,covered deck, pet friendly. 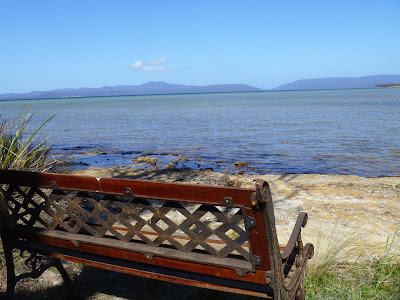 Affordable accommodation in Tasmania located in the Port Arthur region. Relaxing Holiday House. Absolute Waterfront (nothing between you and the beach). Salembay Beach house is a modern, comfortable Beachhouse conveniently located on the Tasman Peninsula one and a half hours drive from Hobart, an hour and fifteen minutes from Hobart Airport. There are native animals throughout the region including kangaroos, wombats, echidnas, (spiny anteaters) platypus (ornitharinchus anitinus), black swans and lots of Birdlife. 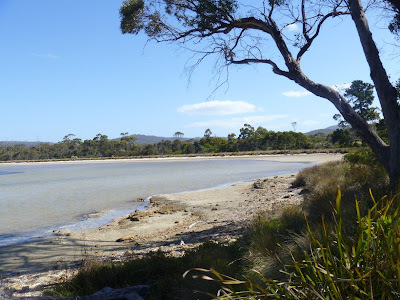 The bay is good for fishing, bushwalks, native animals, convict ruins, fossils hunting and relaxing. Nearby to state forests and Fortescue Bay National Park, the highest sea cliffs in Australia and the three Capes, Raoul, Pillar and Huay. The beach house is within easy access to pristine beaches,walking tracks, Port Arthur and Coal Mines Historic Sites, the Taranna Devil Park and Federation Chocolate Factory. view Aurora Australis - Southern lights from the deck.